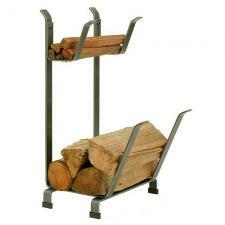 *Economical in terms of cost and space, this simple but attractive log rack will conveniently store your firewood and kindling for immediate use. *Measures 26" High x 16" Wide x 13" Deep. *Quality product made by Enclume in the USA - 19 lbs.